1. There are plenty of organisms like bacteria, so the supply of DNA is not a problem. This makes the DNA as a cheap resource. 3. Size of the computer will be too small to keep in the pocket. DNA computing exploits the functional properties of DNA. All living organisms except a few viruses carry DNA in the cells as genetic material. The DNA encodes all the information regarding the development, growth and functioning of the organisms.DNA molecule consists of Nucleotides having nitrogen bases –Adenine, Guanine, Cytosine and Thymine- pentose sugar and Phosphate group. The DNA has two anti parallel strands which dissociates and recombines when heated. 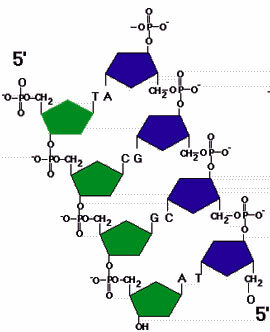 DNA uses ATP (Adenosine Tri Phosphate) as fuel for the dissociation or re association of the strands. The energy in the form of ATP in DNA can carry out quick dissociation or recombination of the strands. DNA computing uses different techniques for computational analysis. The most common methods are construction of logic gates such as AND, NOT, OR etc. from the DNA bases. Other methods in DNA computing includes use of DNAzymes, DNA tilling, PCR etc. DNAzymes are DNA molecules with catalytic property. They catalyze the reaction when make contact with oligonucleotides. So the DNAzymes can be treated as the “input system” which can be used to create logic gates similar to silicon chips. The DNAzymes logic gates change its structure when make contact with the oligonucleotides. Two commonly used DNAzymes are E6 and 8-17 which are the best DNAzymes to create DNA logic gates. A Single stranded DNA with a loop at the end is called Stem loop DNA. It is highly dynamic and the loop opens and closes when a DNA segment is attached to it. This property is also used to create logic gates. The broken ends of DNA shows “sticky” nature and this property is used in DNA computing. The sticky DNA segment binds with another DNA molecule and displaces the segments apart. This property is exploited to create logic gates like AND, OR and NOT gates. 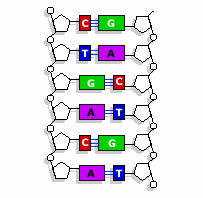 A DNA tile can be created using multiple sticky DNA segments. 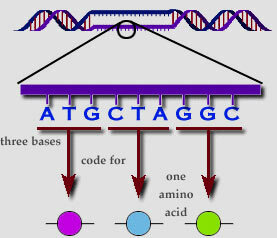 This method used DNA nano technology.DNA arrays can be constructed to implement computation.